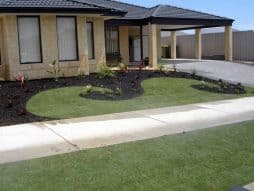 Landscape Design & Reticulation WA | Looking Good Landscaping ""
Looking Good Landscaping understands that water is essential to a well maintained lawn and garden. 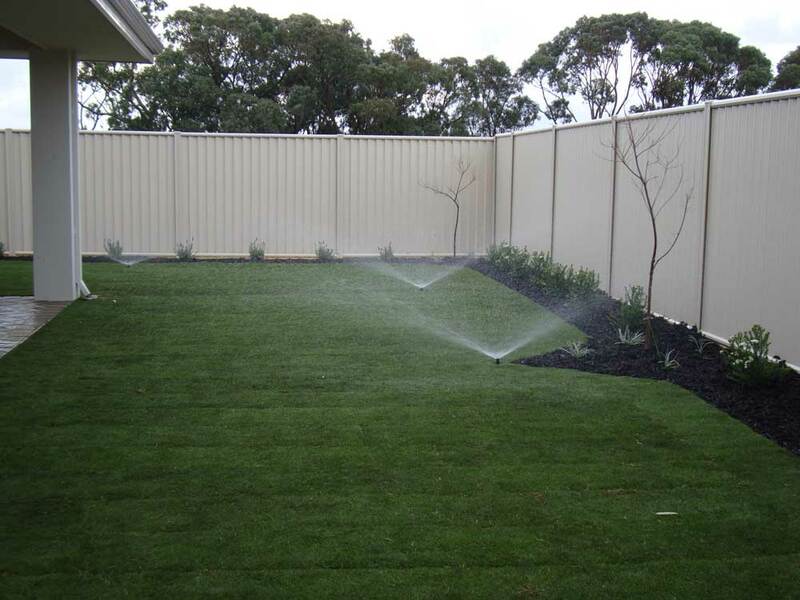 We design and install reticulation systems to suit all styles of gardens. 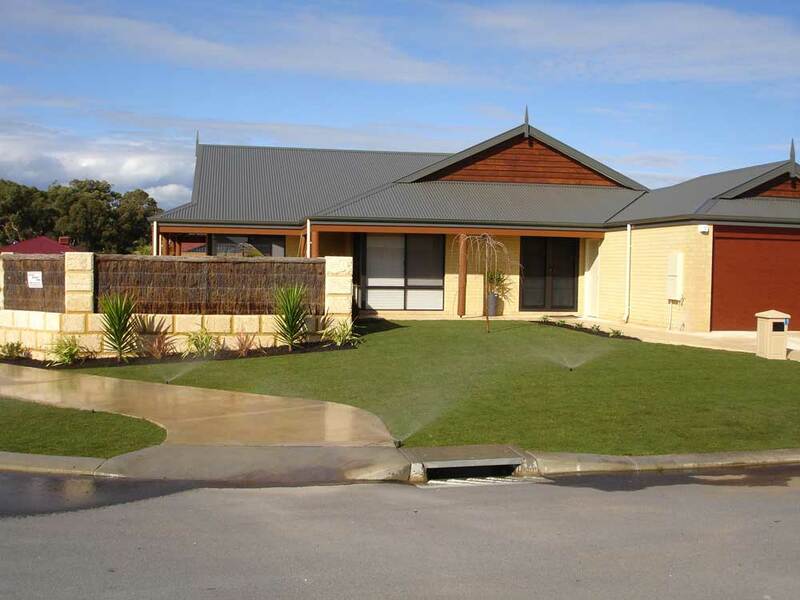 A good quality reticulation system will not only keep your lawn looking its best, but will save you time and money. 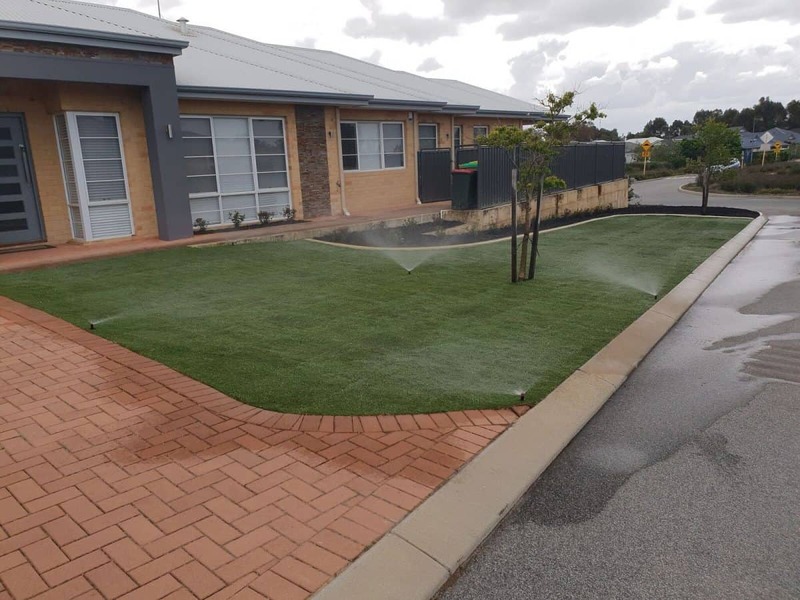 Our experts have been installing reticulation in the Rockingham, Baldivis, and Mandurah area for decades. We understand the weather in Perth, and how unpredictable it can be. 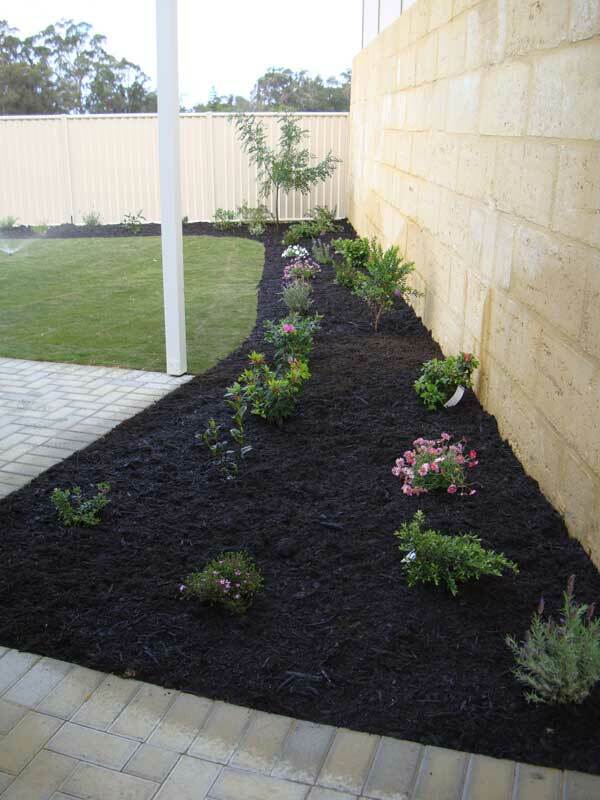 Let us help you maintain a beautiful garden with a well-constructed reticulation system for your home or business. 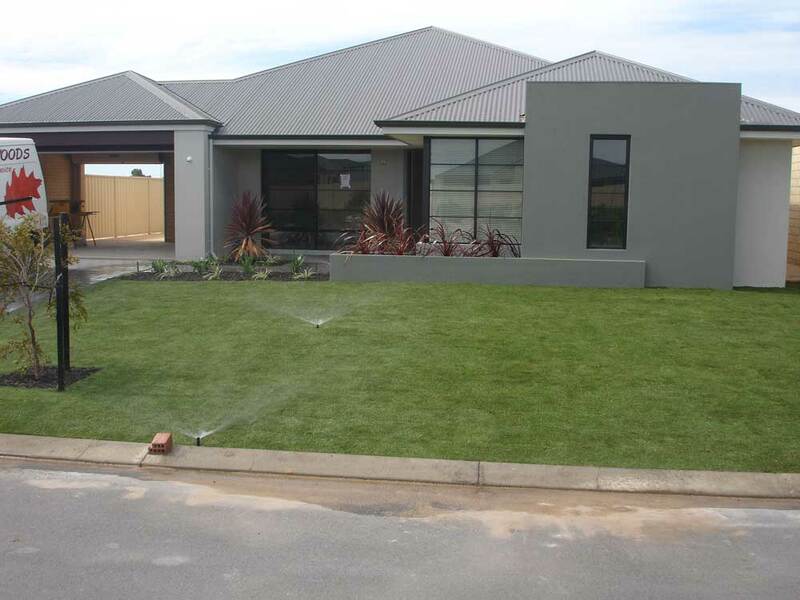 Our experienced team are able to design and install a top quality reticulation system for your property. We use only the best quality fittings and pipes in our systems – all pipe is class 9 PVC, and we use Hunter controllers and sprinklers. 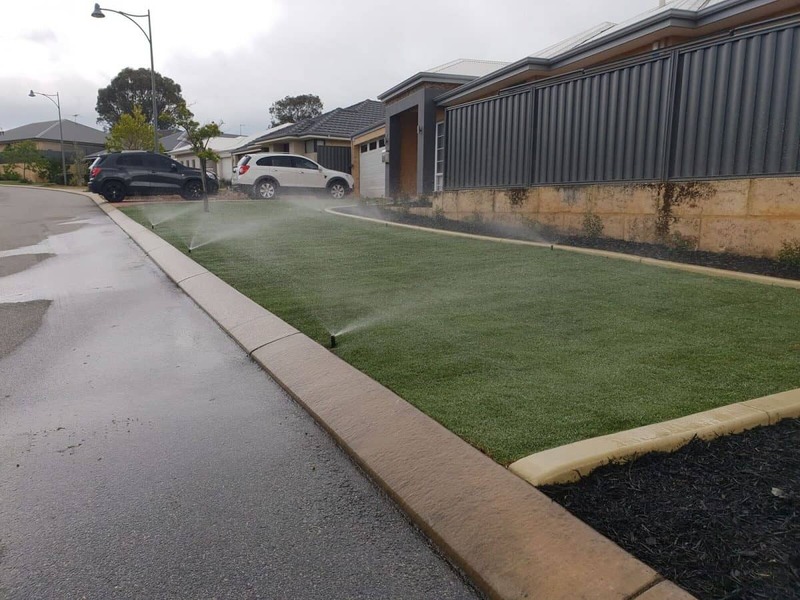 With these quality products you can trust that all reticulation installed is going to last for years, and be a valuable investment for your home. Each system is uniquely designed to suit the property. 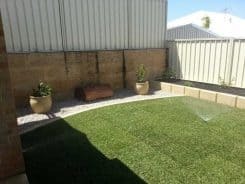 Our expert landscapers will perform a thorough site evaluation, taking into account location, plant type, and size of lawn and garden, amongst other factors. 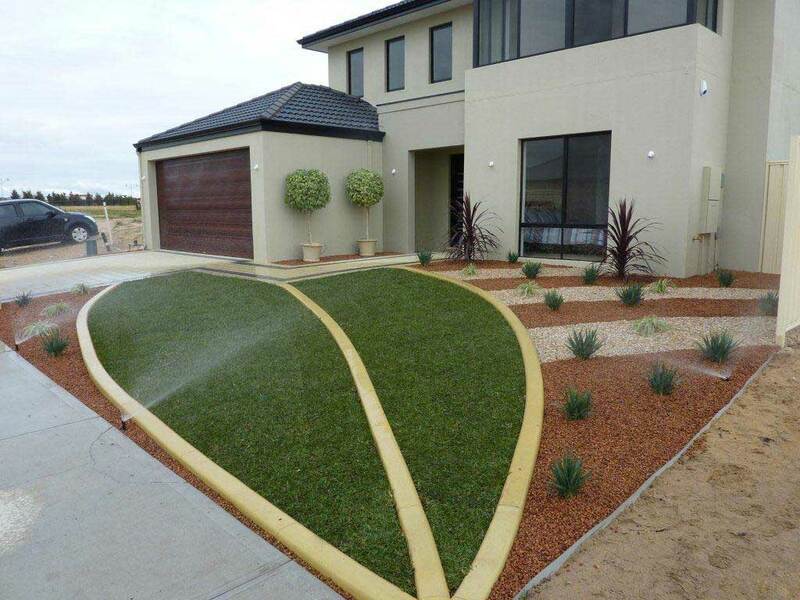 Using this information, a bespoke reticulation design is created that will see your garden reach its maximum potential. We use water wise irrigation principles to create a system that gets the best results with the minimum amount of water. 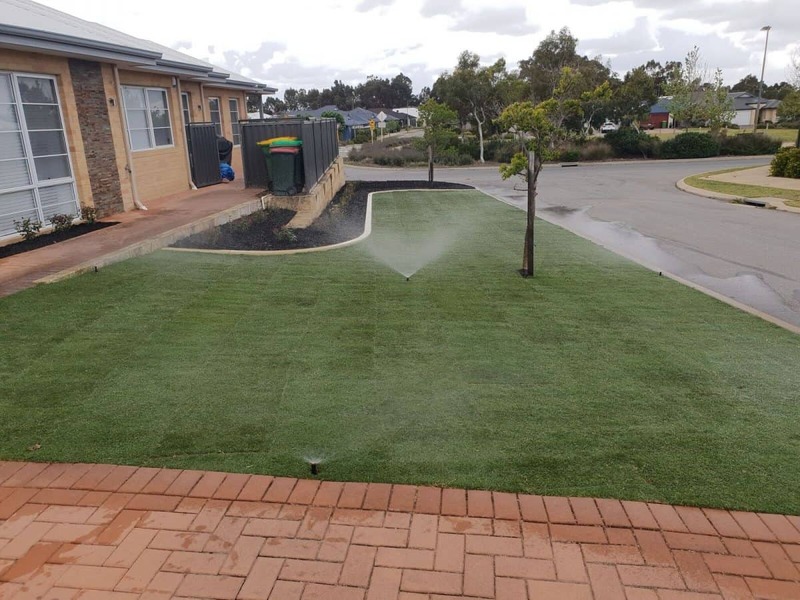 We consider ease of use and maintenance when creating your reticulation system, so you can have a gorgeous green garden year round, with minimal effort. 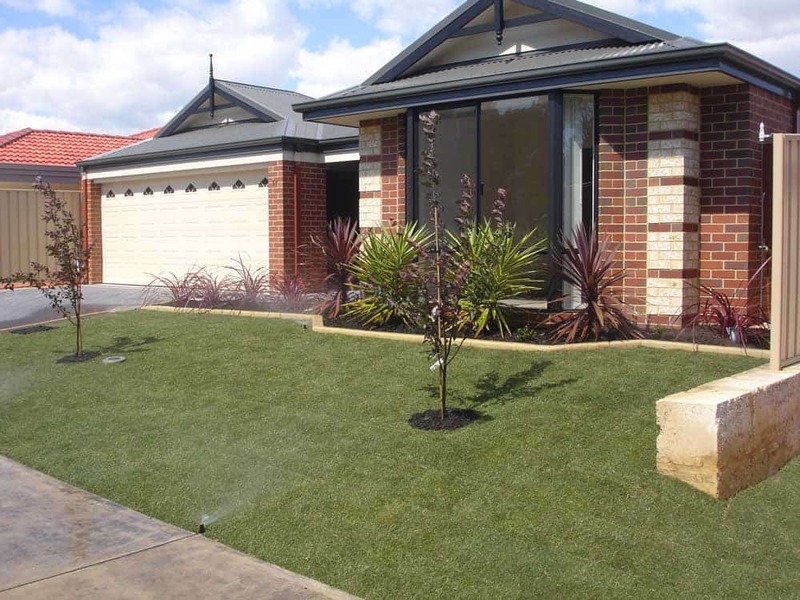 After you have gone to the trouble of creating a lovely lawn and garden, be sure to protect that investment with reticulation. Not only will a good reticulation system keep your garden green and healthy year round, but it will also benefit you in the long run. Reticulation systems provide more efficient watering than hand watering. Automated systems can be set to water at the most beneficial times, so your water reaches the plants more effectively, without worrying about evaporation. Drip irrigation to garden beds will create water wise gardens, with the soil being kept damp and no water wasted from runoff. Timers can be established so no longer will you overwater the garden, forgetting to turn off the sprinklers once you head inside. Automated reticulation systems mean you can reclaim that time you spent hand watering and spend it with your family instead. 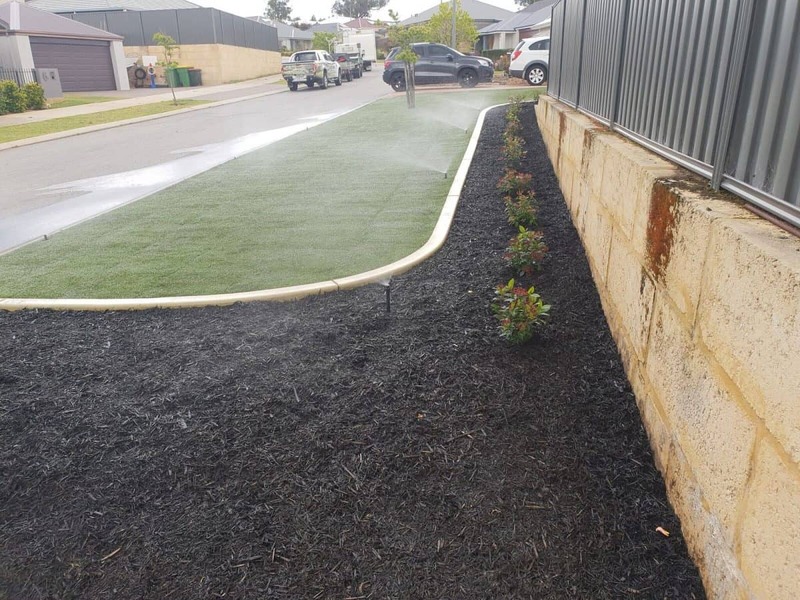 Looking Good Landscaping has experience designing and installing reticulation for both residential and commercial projects including industrial verges and bulk residential properties for developers. 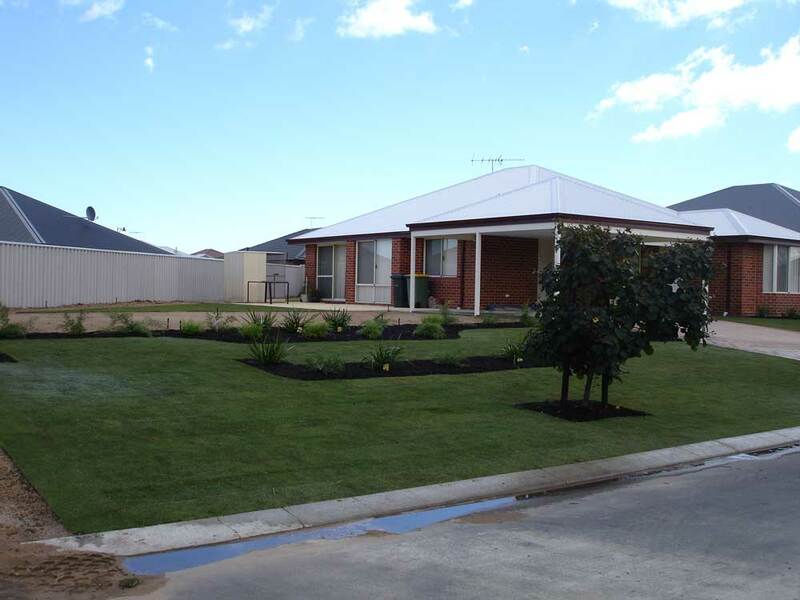 We can work with you on full landscaping designs, and are able to pre-lay reticulation pipes before paving. 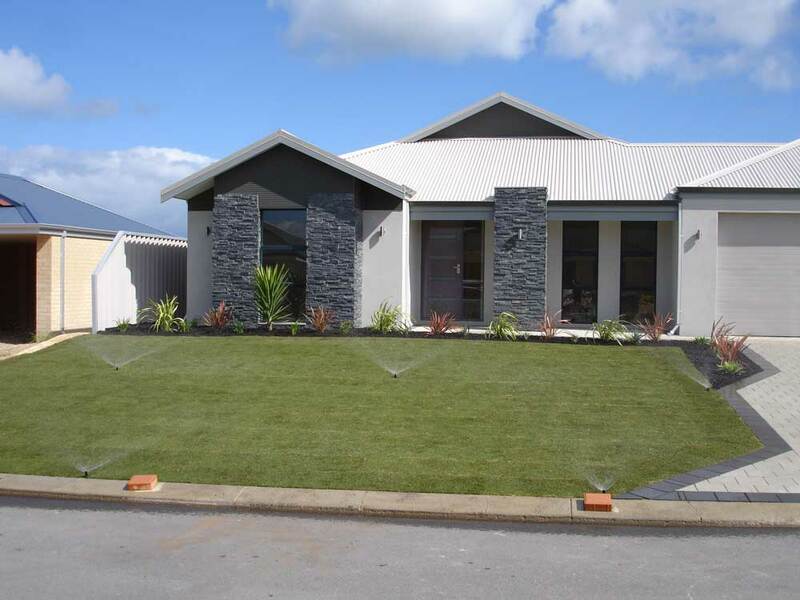 Whether you are looking to place reticulation in an established garden, or add reticulation as part of a new landscaping project or development, Looking Good Landscaping can meet your needs. Reticulation is the cornerstone of a well-maintained landscape, providing water to your plants with maximum efficiency and minimum effort. 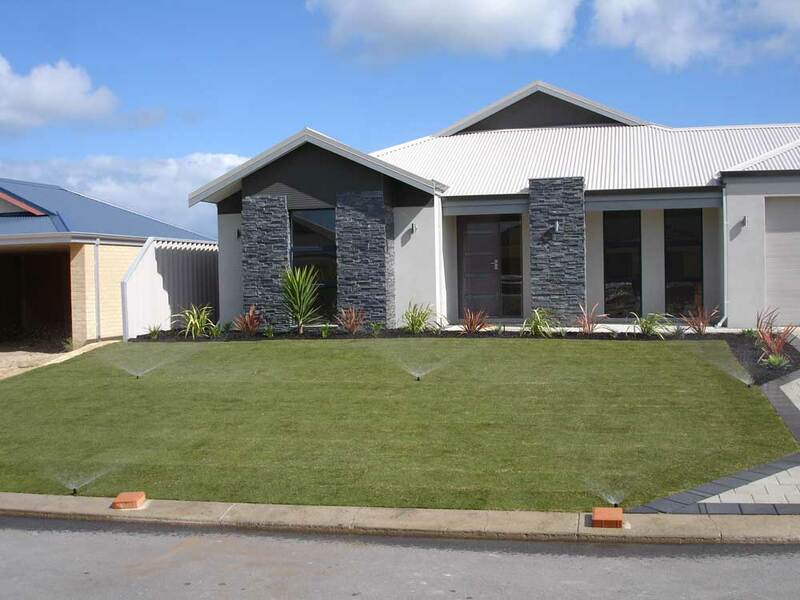 Be sure to maintain your investment by installing reticulation and keep your home looking green all year round. 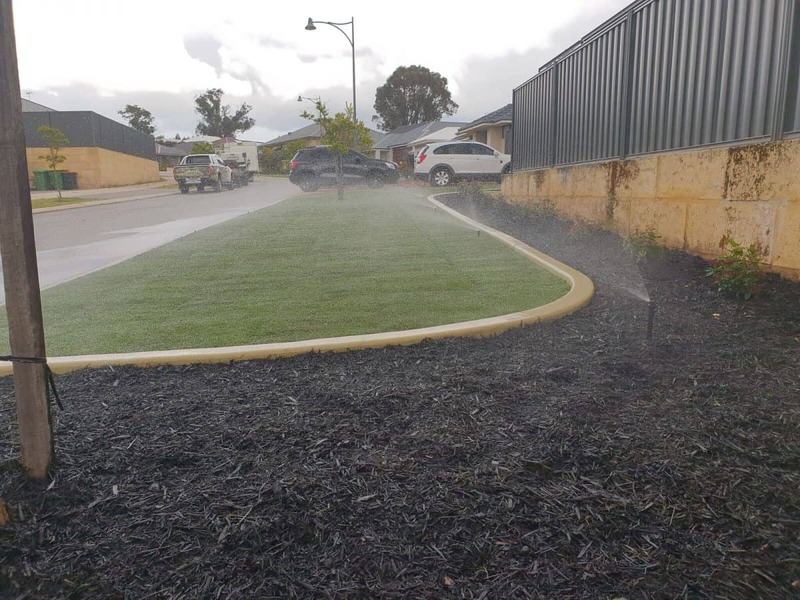 Contact Looking Good Landscaping today to arrange for a consultation about reticulation in your home or business.